22-mile No-drop Guided Tour of Springfield’s Trail System is BACK for 2017! 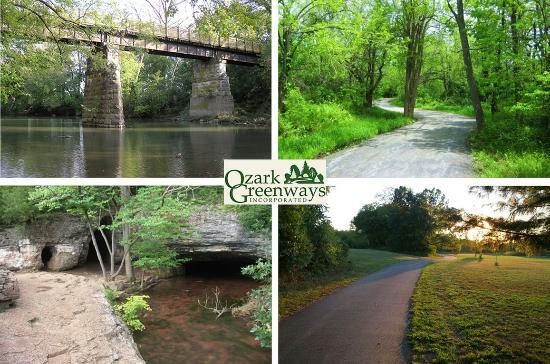 Springfield has one of the best trail systems in the Midwest–thanks to the long-time work of Ozark Greenways, Springfield City, and many trails supporters in the region. We are very pleased to announce the Springfield’s bicycle planning guru David Hutchison is back to lead a 22-mile no-drop guided tour of Springfield’s trail and bicycle route system as part of the 2017 Queen City Century. The ride will be at an easy pace and all riders will stay together with the guide. This was one of our most popular options in 2016, and we are very pleased to see it return for 2017! More details about the course, including a downloadable/printable course map, on our Venue and Routes page. Hi! This is Lori from Ozark Greenways. I was wondering how many riders do the 22-mile tour of the greenways. Usually if a large group is riding on the trails for an event, the Park Department needs to know. Can you give me a shout? It’s usually about 10-15. Thanks!